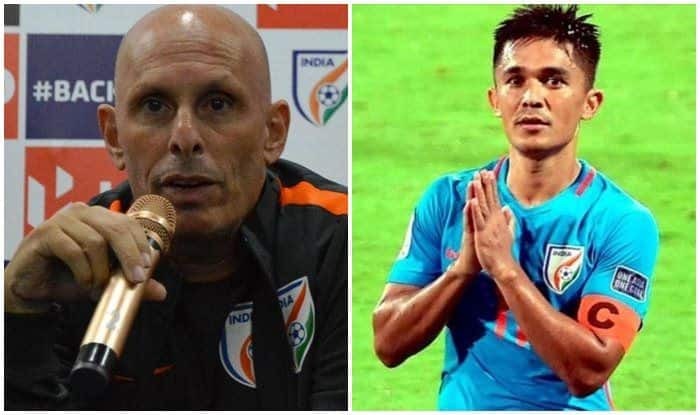 The All India Football Federation (AIFF) president Praful Patel on Tuesday thanked former coach Stephen Constantine for his contribution to the game in the country. The All India Football Federation (AIFF) president Praful Patel on Tuesday thanked former coach Stephen Constantine for his contribution to the game in the country. Constantine, who had taken over as the head coach of the senior men’s Indian national team in February 2015, announced his decision to step down after India bowed out of the AFC Asian Cup UAE 2015 on Monday. Constantine’s contract with the AIFF ran till January 31. AIFF general secretary Kushal Das added: “We respect and accept his decision. I would like to thank Stephen for guiding us through a very critical phase in Indian football. In the AFC Asian Cup UAE 2019, India, who were clubbed with hosts UAE, Thailand and Bahrain in Group A, finished on four points. After a splendid start in the tournament where India beat Thailand 4-1, they went down to 0-2 to UAE and 0-1 to Bahrain in the next two games, thus bowing out.